This release should come with a warning, "may cause insane movements through out your body" and thats just the start. The boys at 'Diffrent' have certainly discovered what is set to be one of the biggest releases of 2011, manufactured and hand crafted by Dakosa. 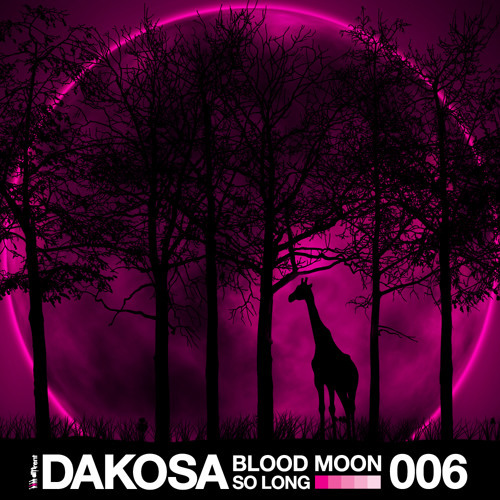 Filled with ridiculous amount of sub pressure creating an irresistible head nod vibe, not to mention the menacing, futuristic synth textures and finely tuned percussion packs more than just a punch, 'Blood Moon' will cause shock waves like an atom bomb on any system around. Accompanying this release is a second WMD by the name of 'So Long'. Its got more bounce than a space hopper, filled with bass power from wall to wall and laced with intricate technical glitches to give it unbelievable depth and some of the finest dynamic control in the business. This debut release on Diffrent is sure to kick up a fuss with some of the biggest names in the scene drooling when exposed to this masterpiece.